Coronary artery disease (CAD) is very common and leads to the narrowing of the vessels supplying blood to the heart (called the coronary arteries) as a result of a build-up of fatty deposits (atherosclerotic plaques) within the walls of the arteries. Sometimes, these plaques may rupture and partially or completely block blood flow to a particular region of the heart, resulting in a heart attack. It is known that inflammation plays a key role in the formation of high-risk plaques that are responsible for most heart attacks. However, there is currently no reliable method to detect inflammation in the vessels of the heart. Recent data from our group has shown that vascular inflammation leads to changes in the tissue around the blood vessels (perivascular tissue). These changes can be detected using routine coronary computed tomography (CT) angiography. Analysis of the perivascular tissue by CT angiography is a promising, easy-to-use and safe imaging technique that can be applied to study coronary artery inflammation. In studying this we hope to provide an indirect assessment of an individual’s risk of developing cardiovascular disease. However, there have been no studies to investigate the ability of the method to detect highly inflamed plaques whose rupture leads to heart attacks. Furthermore, to be clinically applicable, this novel method needs to be validated against well-established invasive techniques (e.g. intravascular imaging) that are in routine clinical use in percutaneous coronary intervention (PCI) e.g. insertion of a stent. Which is the purpose of the study? To find out whether a new way of imaging the heart using computed tomography (CT) can identify people at high risk of having a heart attack. We are testing the ability of CT imaging to predict the presence of high-risk features in the vessels of the heart. For this purpose, we will use the images obtained from your CT scan to look at the tissue surrounding the vessels of your heart to explore what they might be able to tell us about the likelihood of a heart attack in the future. The study has not started recruiting yet. In total, it aims to recruit 110 participants (60 presenting with an acute heart attack and undergoing percutaneous coronary intervention (PCI-for example the insertion of a stent) and 50 scheduled for an elective PCI at the John Radcliffe Hospital, Oxford University Hospitals NHS Trust). Participants that give their consent to take part may be contacted in the future for possible participation in other ethically approved studies. Depending on the specific arm of the study, study participants will undergo one or two coronary CT angiography scans during their initial visit and one follow-up CT scan at 1 or 6 months after the first scan. Blood samples will be collected at each visit. A subgroup of patients will also undergo intra-coronary imaging during their PCI in order to characterise the nature of the coronary plaques. 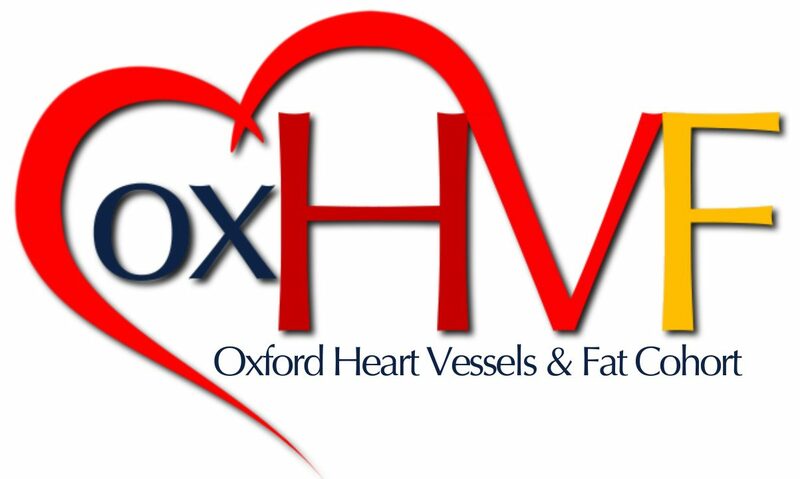 This study is funded by the British Heart Foundation, the University Challenge Seed Fund, Oxford University Innovation Ltd. and the Oxford Biomedical Research Centre (Oxford BRC) of the NIHR. South-Central, Oxford C Research Ethics Committee has reviewed and approved the study (REC Reference 17/SC/0058). We would like to clarify how we will obtain the information mentioned in the patient information sheet and consent form: we will send your identifiable data (NHS number and or Date of Birth) to NHS Digital who will link hospital admissions information to individual participants within the study. NHS Digital will return your information to us with data about any health outcomes. NHS Digital will also link your NHS Number and or Date of Birth to civil registration data from the Office for National Statistics (ONS) which provides information regarding any deaths of participants occurring over the time period of this research. All personal information exchanged between NHS Digital is protected and encrypted in line with strict regulations and codes of practice that ensure high security standards.